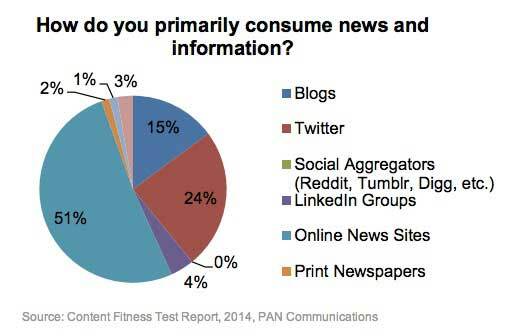 Just over half of marketers (51%) first turn to news websites to find news/information, according to a recent report from PAN Communications. Twitter is the second most popular source for news/information (24% say it is their primary channel), followed by blogs (15%), and LinkedIn Groups (4%). Compared with 2012 results from the same survey, use of news websites as a primary source has decreased 14%, whereas the use of Twitter and blogs has increased 3% and 6%, respectively. Below, additional key findings from the report, which was based on data from a survey of 74 marketing professionals. Survey respondents say they use several platforms and devices interchangeably to keep informed, with smartphones (85.1% use) and laptops (82.4%) being the most popular. 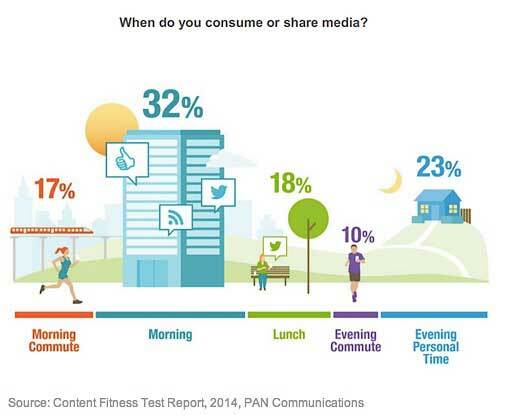 Mornings are the most popular time for news consumption and sharing, followed by evenings and lunch. 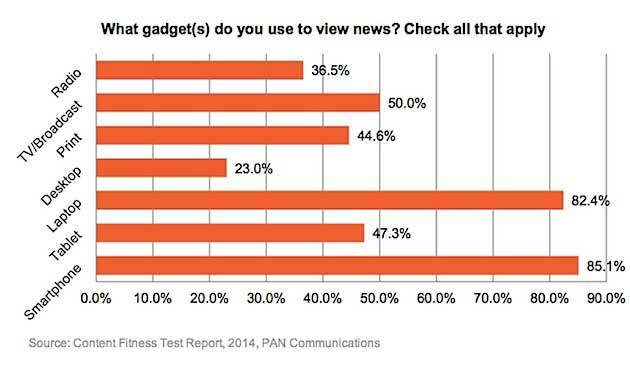 93% of survey participants say they share news with their network. 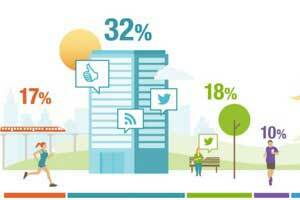 About the research: The report was based on data from a survey of 74 marketing professionals. This article originally appeared on MarketingProfs courtesy of Ayaz Nanji.